The perfect wine gift for your best friend. Seriously how cute are these wine racks? They come in both black and white colors. The perfect wine stopper for these wintery season. Such a classic and pretty set for those wine drinkers! I am in loveeee with this wine holder! This makes for a great party accessory for any outfit! :) ha! Because who wouldn't want to eat gummy bears with some champagne in them? Have you ever wanted to bring wine with you to the movies, mall, park - incognito style? 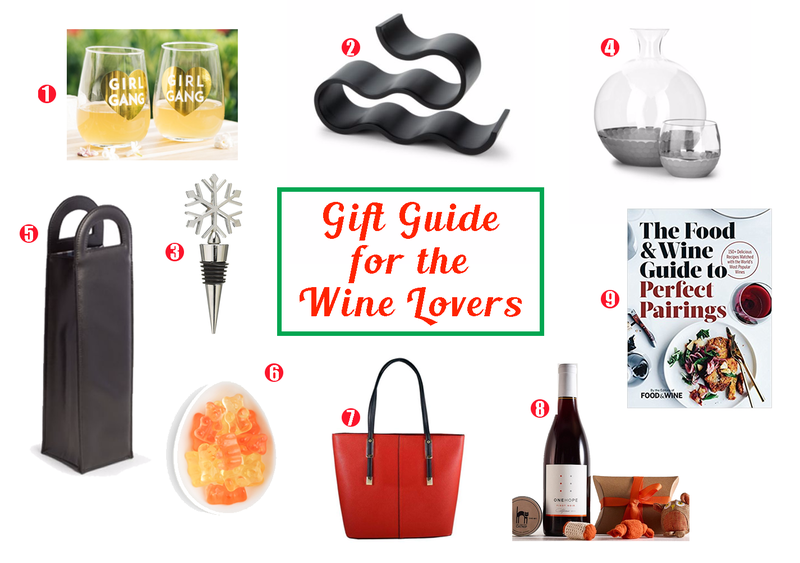 This is the best wine present for all you wine lovers! You can enjoy wine on-the-go stylishly with the PortoVino Wine Bag! I love this wine brand! They not only offer amazing wine sets but every time a set is purchased, the brand gives back to different charities! Are you a wine lover and also a chef? This book will help educate you on the perfect wine pairings.